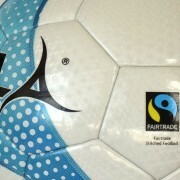 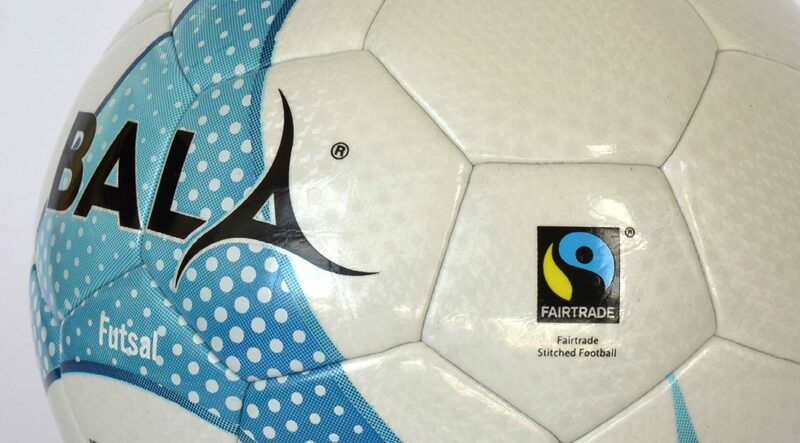 A pro quality match futsal ball made to Fairtrade standards. 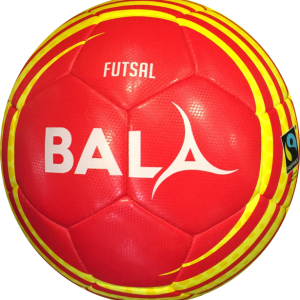 The spec of our Bala Fairtrade Match futsal ball was developed in consultation with the Scottish Futsal League. 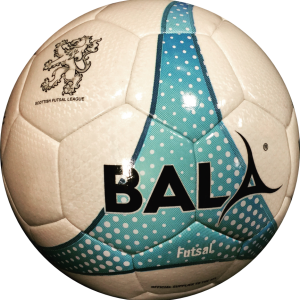 Made to withstand the rigours of fast paced action indoors on a regular basis with a tough PU surface and a soft feel foam lining. 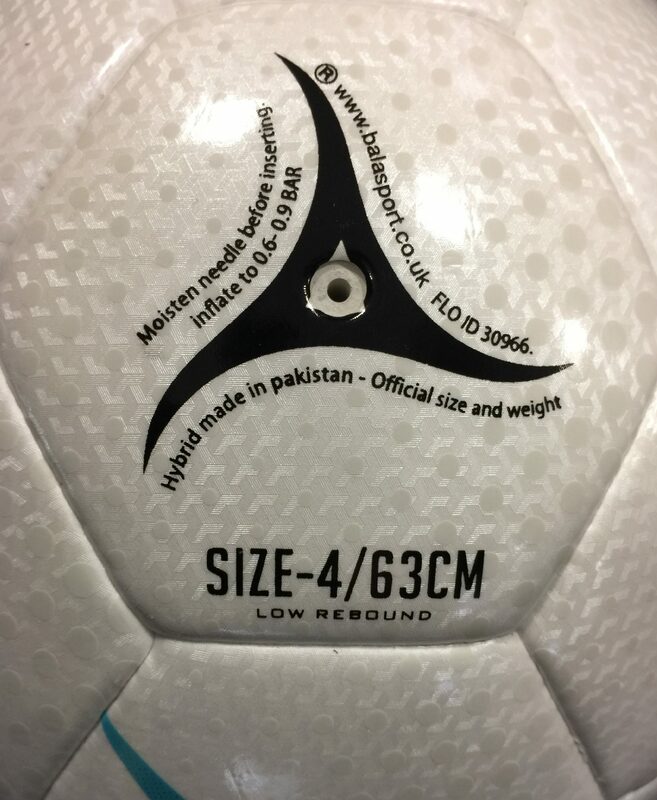 These balls are hybrid using a mix of machine stitching and new thermal bonding technology for better shape retention. 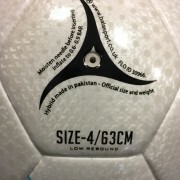 Official size and weight. 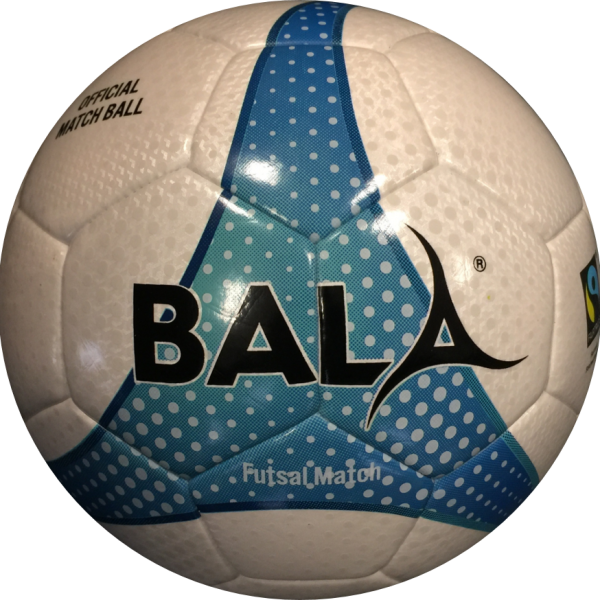 Size 4 futsal.